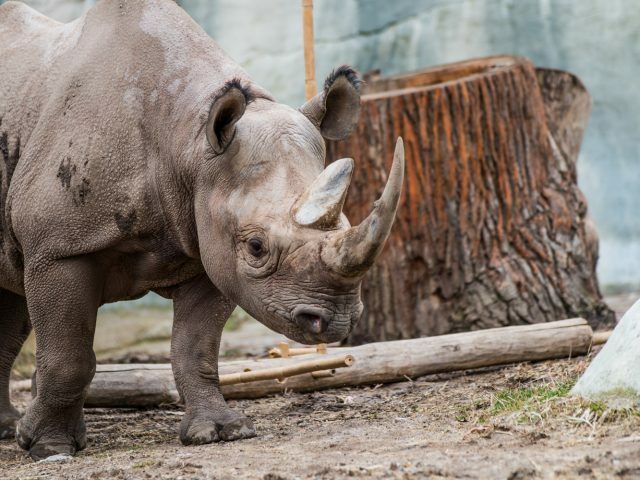 The black rhinoceros is best known for its two horns protruding from the skull, which are made of keratin. They have thick layered skin which protects them from the sharp grasses and thorns found in the African savannah. 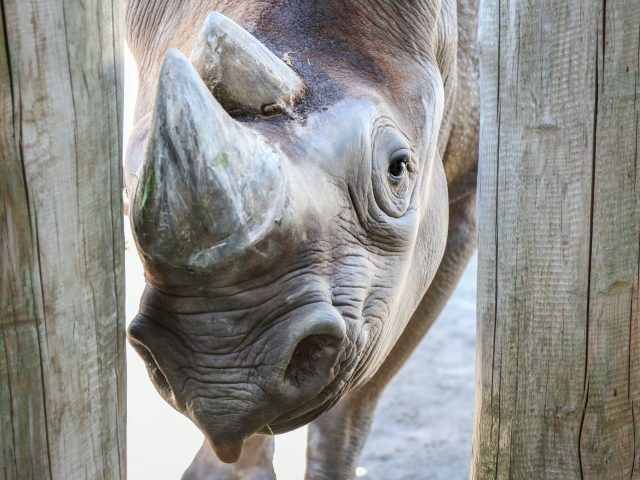 The upper lip of a black rhino is actually prehensile, which it uses to grasp leaves and twigs while feeding. With poor eyesight, this animal relies more on smell and hearing, thanks to a wide range of rotation on the ears to help detect sounds. These stocky creatures aren’t actually black as the name may indicate. Their gray skin is color dependant on local soil conditions and wallowing behavior. 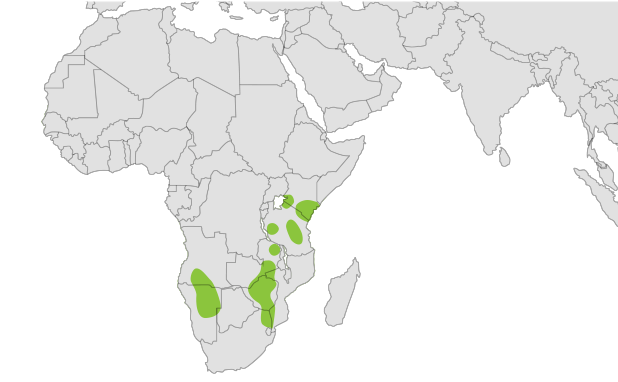 Black rhinos are solitary animals, with the exception of coming together to mate. 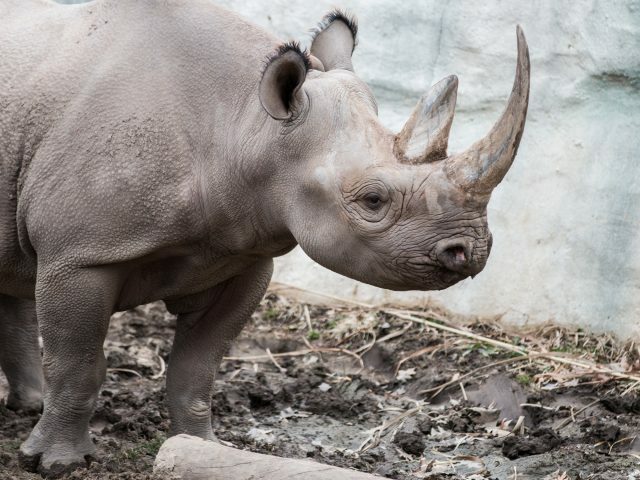 They have a fairly small home range as long as food and water are readily available and they have been known to tolerate the presence of other rhinos. When threatened however, the black rhino has a reputation for being extremely aggressive. Their signature method of attack is to charge, which because of their poor eyesight can happen quite quickly and frequently. 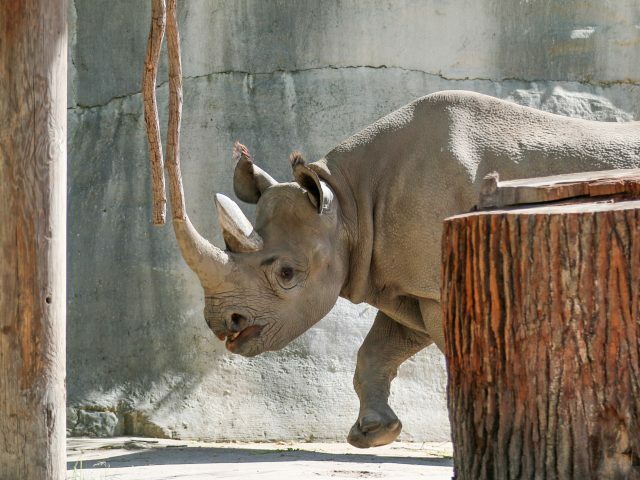 Black rhinos are very fast and can get up to speeds of 35 mph running on their toes. The word rhinoceros comes from two Greek words: Rhino means nose, and ceros means horn. 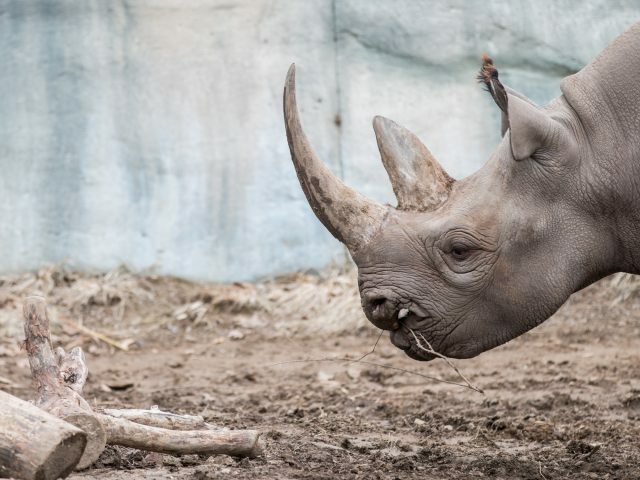 Because of their tank-like build and deadly horns, rhinos have no natural predators. 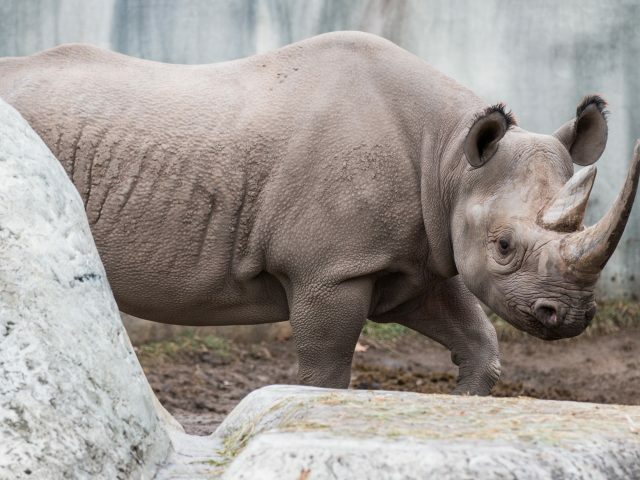 Our female rhino, Doppsee, is from the Sedgwick County Zoo in Kansas and was born in 2007. Our male rhino, Phineus, traveled to Lansing in 2017 from the Caldwell Zoo in Texas. He was born in 2007. An adult black rhinoceros stands 55–67 inches in high at the shoulder and is 11–12 ft in length. 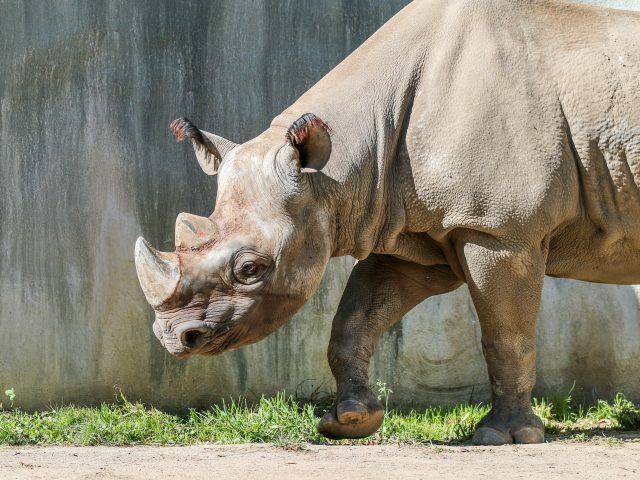 As you may imagine, rhinos are hefty creatures, weighing from 1,800 to 3,100 lbs! The black rhino is a herbivorous browser that eats leafy plants, branches, shoots, thorny wood bushes and fruit.